Avant - Curved Screen or Real Flat ?? 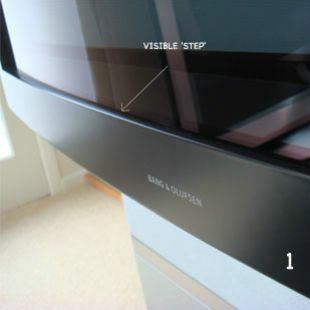 Many people when referring to their BeoVision Avant are asked by Dealers, Service Engineers or potential buyers "Is it a Curved or a Real Flat?" Most people don't really know the difference, so here is a little guide on how to tell! Firstly, let us explain that the 'Curved Screen' is the original version of the BeoVision Avant, launched way back in 1995, and is the earliest version. This TV was streets ahead of the competition at the time, and still remains a seriously good TV at what is now bargain basement money on the used market. The 'Real Flat' was the 'facelifted' version of the Avant, launched in 2001 using the same exterior casing with the main visible difference being the tube (the latest cutting edge Philips) and screen cover assembly. Along came the integrated DVD version too in 2002, and for reference any DVD version of the Avant will be a Real Flat (RF) model without question. 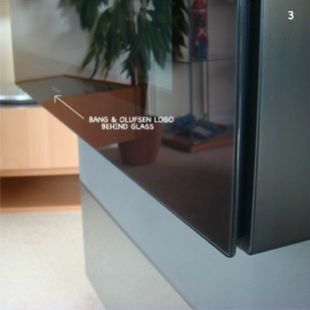 In photo's 1 and 2 you can clearly see that the screen is recessed into a grey/black plastic surround with the Bang & Olufsen logo printed onto the surround. 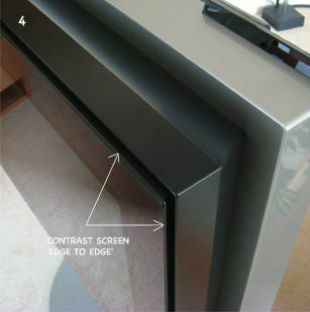 There is also a visible 'step' between the contrast screen and surround. The screen is also quite obviously 'curved' as you look at it from the side. This is of course the version that is referred to as "Curved"
In Photo's 3 and 4 you can clearly see the difference between the two. 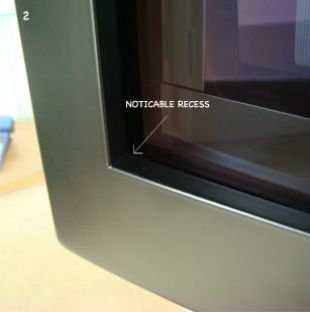 The 'Real Flat' has a contrast screen that covers the tube from 'edge to edge' and has the appearance of one solid single sheet of glass, with the Bang & Olufsen logo displayed behind the glass contrast screen. This flatness gave rise to the term 'Real Flat' as this is exactly what the tube is. The Real Flat model is the later version of the Avant, and on the pre-owned market is worth more than the earlier version. The improvement in picture quality is apparent also, but we are talking about an improvement on an already superb picture! Hopefully this can help you distinguish the difference between the two, and help you confidently state wether you have a 'curved' or a 'real flat' ! !